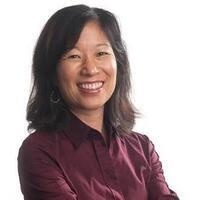 The Campus Climate Committee of the Academic Senate invites you to a presentation and lunch with Lori Nishiura Mackenzie, Executive Director of The Clayman Institute for Gender Research at Stanford University. Ms. Mackenzie will be presenting a talk on “Embracing Inclusion in Faculty Hiring and Retention” and sharing case studies and practical tips for hiring committees. As space is limited, please RSVP by Wednesday, March 20 with the code cccspring19. You can join our meeting remotely with this Zoom ID. The event was useful. Some parts were a bit rushed, but overall, information will be included in future endeavors. The Vineyard Room, located on the lower lobby level of the Davidson Conference Center.